Cris Cohen’s upcoming humor book will raise money for kids with special needs. March 25, 2011 (Cary, NC) – Humor writer and California native Cris Cohen has lived in Cary, NC, since 2008. But fans of his popular columns that ran in California newspapers for several years haven’t forgotten how much they enjoyed his work. They’re also eager to support his new fundraising effort for kids with special needs. As a result, Cohen announced this week that TechProse, a technical writing, training and instructional design consulting service, and newspaper copywriter Marilyn Berg Cooper, both of the San Francisco Bay Area, have signed on as official sponsors for Cohen’s upcoming book, “Staying Crazy To Keep From Going Insane.” Proceeds will go to a local baseball league for children with special needs, including his own son, nine-year-old Max. Entitled “Staying Crazy To Keep From Going Insane,” the book will be a collection of Cohen’s humor columns, some from his California career, others penned in Cary. “I’ve been looking forward to this take-it-with-you collection of Cris Cohen’s offbeat musings,” said Marilyn Berg Cooper. Cohen has been seeking sponsors to help defray the cost of self-publishing his book. They’re starting to come in, as are endorsements from the likes of Pulitzer Prize-winner humor writer Dave Barry and Pen/Faulkner Award-winning author T.C. Boyle. “I am flattered that these people not only remember me, but have not pressed charges,” said Cohen. For more information on “Staying Crazy To Keep From Going Insane,” visit www.stayingcrazy.com and the Facebook page: www.facebook.com/stayingcrazy. 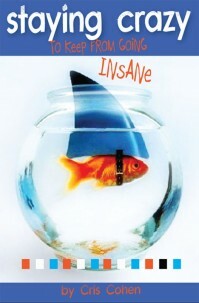 Cohen is also the author of the humor blog “Nothing In Particular,” which can be found at http://criscohen.typepad.com. 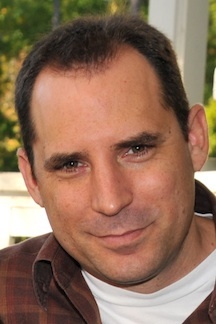 Cris Cohen, the author of the “Nothing In Particular” blog, was born in Buffalo, NY, and grew up in a suburb of Los Angeles, eventually graduating from the University of Southern California. After a stint in rock radio in Los Angeles and Santa Barbara, Cris started writing his humor column for a collection of California newspapers. He eventually gravitated toward the tech world and Silicon Valley, working for companies such as Netscape and Cisco Systems. Cris, his wife Michele, and their young son Max moved to Cary, North Carolina, in 2008. Cris’ blog is available at http://criscohen.typepad.com. His first book, “Staying Crazy To Keep From Going Insane” is due out later this year.